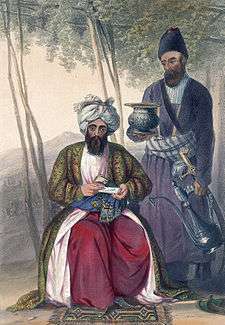 A vizier (/vɪˈzɪər/, rarely /ˈvɪzjər/; Arabic: وزير‎‎; wazīr, Persian: vazīr‎‎, Turkish: vezir, Urdu: وزیر‎, Vazeer; sometimes spelled vazir, vizir, vasir, wazir, vesir, or vezir) is a high-ranking political advisor or minister. 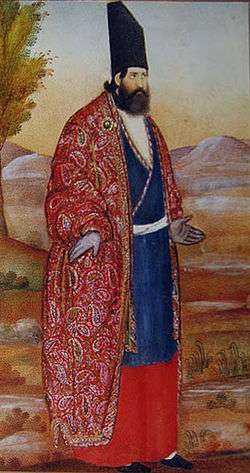 The Abbasid caliphs gave the title wazir to a minister formerly called katib (secretary) who was at first merely a helper, but afterwards became the representative and successor of the dapir (official scribe or secretary) of the Sassanian kings. In modern usage, the term has been used for ministers in the Arab world, Iran, Turkey, East Africa ( Kenya, Tanzania and Somalia) Afghanistan, Pakistan, India, Tajikistan and Uzbekistan. 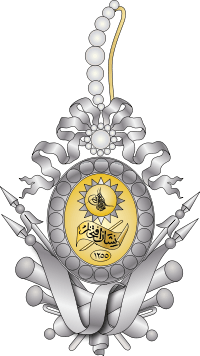 It is also specially used in the only absolute Asian monarchy, the House of Bolkiah of Brunei with the title Prime Vizier or Perdana Wazir in Brunei Malay as the head of all viziers. It is given to the current King Hassanal Bolkiah's second brother, the Prime Vizier Mohamed Bolkiah. In Brunei, an ordinary vizier is known as Pengiran Temenggong. In modern Turkey, there is no usage of 'vezir' for any ministry as suggested in the description above. In the Nation of Islam, Louis Farrakhan is sometimes given the honorific title of Wazir. In Brunei, Viziers are divided into 5 titles, two its remains vacant since Brunei independence. It is common, even among historians, to apply contemporary terms to cultures whose own authentic titles are (or were when the habit took root) insufficiently known, in this case to pre-Islamic antiquity. 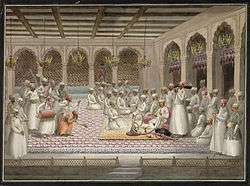 In Shatranj, from which modern chess developed, the piece corresponding to the modern chess "queen" (though far weaker) was often called Wazīr. Up to the present, the word for the queen piece in chess is still "vazīr" in Persian, "vezir" in Turkish, "wazir" in Arabic, and "vezér" in Hungarian (meaning "leader"). ↑ Goyṭayn, Šelomo D.. Studies in Islamic history and institutions. P.171. Compare Quran 20:29, Quran 25:35 and Quran 94:02. ↑ Goyṭayn, Šelomo D. Studies in Islamic history and institutions. Retrieved 2010-04-23. ↑ Klein, Ernest, A comprehensive etymological dictionary of the English language: Dealing with the origin of words and their sense development thus illustrating the history of civilization and culture, Volume 2, Elsevier, 1966. ↑ "vizier", Encyclopædia Britannica 2010, Retrieved on 2010-06-17.